APPLE WILL HAVE vehicles driving around Dublin later this month to help gather data for its Maps service. Between 15th – 30th June, Apple will have vehicles driving around the city capturing road data and photos for its service. As well as Ireland, the cars will be driving vehicles around the US and UK during this period. On its site, the company says it will use the data to help improve its Maps service and will ensure that personal information is protected while this is underway. 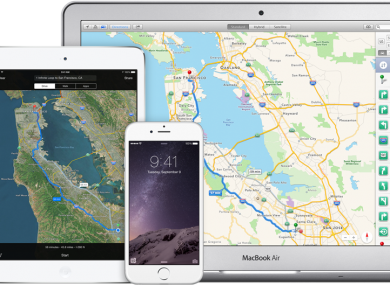 Apple is driving vehicles around the world to collect data which will be used to improve Apple Maps. Some of this data will be published in future Apple Maps updates. We are committed to protecting your privacy while collecting this data. For example, we will blur faces and license plates on collected images prior to publication. The cars will be driving around these areas in Dublin first. Raheny, Rathfarnham, Rathgar, Rathmines, Ringsend, Sandymount, Santry, Templeogue, Terenure, The Liberties, Walkinstown, Whitehall, Dún Laoghaire–Rathdown, Fingal, South Dublin. When it was launched in 2012, Apple Maps had a shaky start and was criticised for displaying inaccurate data such as placing Dublin Zoo in Temple Bar. Since then, the service has improved and at its developer conference on Monday, the company announced a number of new features for iOS 9 including public transport directions for certain cities in the US and Europe. Email “Apple is going to send a fleet of vehicles to drive around Dublin soon”. Feedback on “Apple is going to send a fleet of vehicles to drive around Dublin soon”.